Dusty T bought reward: "digital download of Peter's new CD "Simple" - featuring Erin Mae"
daisy1964 bought reward: "Greeting Card featuring Peter's artwork"
Jlk bought reward: "a virtual HUG from everyone here"
Dusty T: what a fun tune! Wendy Songe: loved it!!!! awesome fun! Chuck Moseley bought reward: "provide a scholarship for someone in need to get a private lesson"
Dusty T: CCCCCCCCCCC Nice groove to that tune. Dusty T: CCCCCCCCCCCCCCCC Wonderful show! I'll see you in Berkeley in May, Erin. Wendy Songe: Thank you for sharing your music, tonight! So fun! GaryDBell bought reward: "digital download of Peter's CD and one of Erin's CDs"
GaryDBell bought reward: "digital download of Peter's new CD "Simple" - featuring Erin Mae"
KLO: You do a very sweet job with the kids, Erin. They are lucky to have you! mikeinKS bought reward: "sheet music for "Mama Don't Allow""
Erinmaemusic: Hi everyone- we're in a brief intermission now -- more dulcimer music coming soon! Thanks for joining us! It was all great. Jenny Jenkins and the piece at the piano were my favorites. 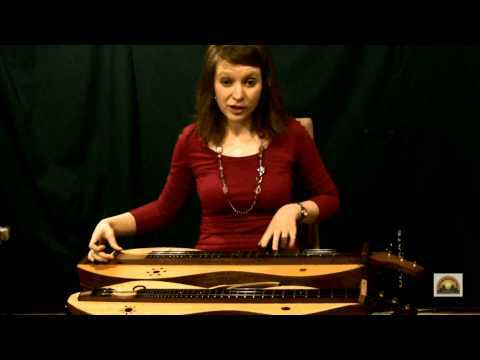 Sheet music for "Mama Don't Allow"
Erin Mae is a mountain dulcimer virtuosa who has taken an obscure American folk instrument, and with it has developed a high level of technical proficiency and musical expression. Erin has been playing for over twenty years and in that time has developed a unique and progressive style. She performs extensively as part of a duo, Scenic Roots. Carrying the rhythm section with her signature percussive chop and flat-picking fiddle tunes with impressive dexterity; audiences nationwide show amazement as they watch her fingers dance over her dulcimer strings. One guitar player quipped, "Erin can do more with three strings than I can do with six." Erin Mae received her first mountain dulcimer at the age of seven. Ten years later, in 2004, she won the prestigious National Mountain Dulcimer Championship; making her youngest winner of the award at the time. Erin went on to study classical piano at Sterling College in Sterling, KS before pursuing a degree in Commercial Music, with an emphasis in bluegrass and acoustic jazz, through South Plains College in Levelland, TX. She graduated in 2010, becoming the first mountain dulcimer player to complete the program; and began touring full-time as part of the duo Scenic Roots. Erin has participated as an instructor at children’s music camps; as well as various festivals, and providing private lessons. Erin Mae is a cancer survivor -- and played her mountain dulcimer through every chemotherapy treatment. She firmly believes that her music and faith were paramount to her healing. Erin is currently working on a book project documenting her struggle with Hodgkin’s Lymphoma and the impact this event has had on her music and worldview. Erin strives to let her music and story act as a beacon of light for those going through difficult times. You can hear that passion as Erin Mae culls from her instrument music which lifts the spirit and heals the soul.